The players who will make history as part of New Zealand’s first ever female national futsal team have been revealed after the naming of the inaugural Futsal Ferns squad. Coached by Nic Downes, the 14-strong line-up will open a new chapter for the small-sided game in this country by taking on New Caledonia over three matches at the Trans Pacific Futsal Cup next month. While this is the first time an official senior national team has been put together, six players did represent New Zealand at the 2016 FISU World University Championship in Brazil and Downes was likewise in charge of that campaign. Several others have also tasted international action after starring for Central-Manawatu against Australian opponents Victoria in the Trans-Tasman Women’s Champions League last year. 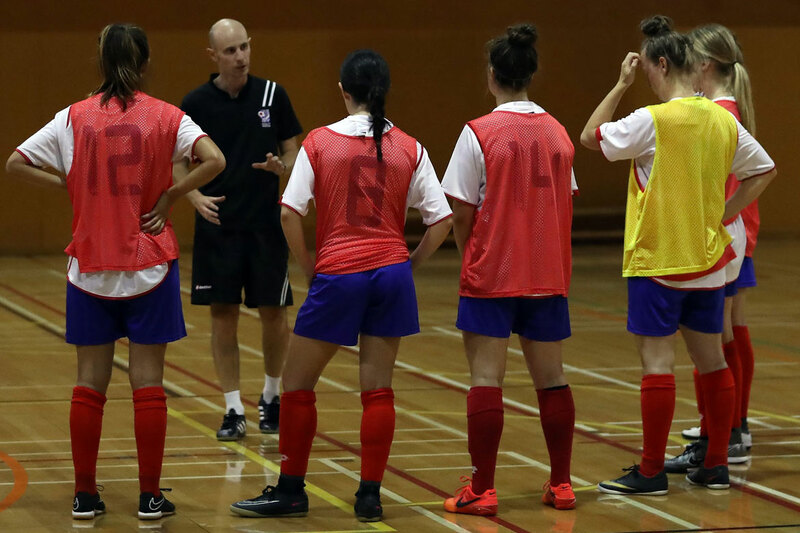 Downes, a development officer for the Auckland Football Federation, is pleased with the talent he has at his disposal and is confident the Futsal Ferns can make an impact on their maiden outings. The ground-breaking fixtures will take place in Tauranga from September 12 to 14 as exhibition matches as part of the AIMS Games, a nationwide event that brings together intermediate-aged children to compete in a range of sports and which has seen huge growth in futsal. The selection process was based largely on displays in the main events on the New Zealand Football futsal calendar – the National Women’s League, National University Championships and National Youth Championships – and Downes says not having any previous national squads to use as a guide gave all comers an equal chance to impress. As trail-blazers for the female game, Downes and co are unsure of what to expect at the Trans Pacific Futsal Cup but he is confident his charges will be able to handle whatever is thrown at them. “We’ve thought about what we might see from New Caledonia but it is very much unknown. So the focus will be on establishing who we are and what our way of playing is,” says Downes, who will be assisted by Brayden Lissington. The Futsal Ferns are one of three newly-established national sides with U-18 men’s and women’s teams also being introduced, joining the already existing Futsal Whites. The new national teams arrive on the back of a period of rapid growth for futsal in this country and the women’s game has experienced a particularly high rate of development with a 23 per cent rise in participation since 2015. Those who have recently fallen in love with the sport now have the dream of becoming a Futsal Fern to fulfil and Downes says adding a focal point to that player development pathway will prove hugely influential. “It’s of massive importance,” he says.